Forming speed in a new dimension. Slab formwork at its most evolved. Dokadek 30 is a beam-less, hand-set formwork system designed as a lightweight strip galvanized steel construction with KTL coated frames faced with a wood/plastic-composite sheet. Experience Dokadek 30 in Augmented Reality! Quick to put up quick to take down. as there are far fewer parts to be shifted. This greatly speeds up the forming operations. The entire system has only three different components: panels, heads and props. because this operation takes up around 33 % of the total forming time. With Dokadek 30, the panels are stripped out without any timeconsuming overhead work. The DekDrive then lets you shift up to 12 m² of Dokadek 30 at a time. which means that work can move ahead rapidly, independently and without interruption. There are no unproductive downtimes spent waiting for the crane, as the equipment does not need to be lifted onto the floor-slab formwork. In other words, the crane is no longer a ‘choke-point’ during formwork set-up. It is only needed occasionally, to help with closing infill and intermediate zones. The rectangular shape of the Dokadek panels also makes it easy to form higher slabs from the safety of floor-level work: Simply hold the panels by the ergonomically shaped grip-holes, lift them and hook them into the Dokadek heads, then raise the free end with the Dokadek assembling tool. The Dokadek heads have a built-in anti-liftout guard which prevents panels accidentally falling off and makes extra precautions (such as wind bracing) unnecessary. This saves time and money. Railings from Doka edge protection system XP. Easy to explain, easy to use. Because Dokadek 30 has so few separate parts, and such a straightforward erection sequence, even semi-skilled labourers can soon use it correctly. Right from the word ‘go’. With the suspension clamp, infill zones can be formed quickly and easily, as Dokadek 30 merges here seamlessly with Dokaflex. In fact, Dokadek 30 combines perfectly with all other slab systems from Doka. The clearly defined erection sequence prevents the crew from attempting dangerous improvisations, and ensures a consistently high safety level – even when semi-skilled labour is deployed. Because of the number of props and how they are arranged, with Dokadek 30 there is no need to dimension the system in advance. Without additional measures a slab thickness of up to 32 cm is possible. Fewer parts per m² of slab formwork. There are only two different sizes of panel, which simplifies logistics on the site and means there is no time wasted searching for the right parts. The forming operations themselves go much more smoothly, too. thanks to the tried-and-tested Xlife sheet. The innovative coating made of glass fibre reinforced plastic ensures even greater resistance to scratching and mechanical damage. This means positive impressions on the concrete and rework costs are cut even further. The final results are clear to see: a small number of joints, all of them neat and tidy as well as a uniform concrete finish. How you use Dokadek 30 is up to you, depending on your requirements. Earlier stripping with the Dokadek 30 standard system, based on actual concrete compressive strength with Concremote. When the panels are hung into place, the Dokadek heads ensure that they engage safely and are firmly fixed. At the usual heights, the free ends of the panels are raised with the Dokadek assembling tool, while at greater heights the platform stairway 0.97m, the suspension tool or the DekLift 4.50m are used. The Doka floor prop Eurex is a rugged, tried-and-tested product. And with its high thread pitch, it can be backed off very easily at a later stage – even when it is under full load. With the formwork-removal procedure made possible by Dokadek 30, overall forming-times can be greatly reduced. This brings added productivity. For the ‘without drop-head with Concremote’ method, Dokadek 30 is erected in the same way as for Method 1. The Concremote slab sensor has to be placed on the surface of the fresh concrete after screeding. The digital, wireless Concremote sensors continuously measure temperature. Your concrete’s strength gain is then calculated in the secure Concremote web portal.  The reliable quality data helps you to support your decisions in executing critical path activities (as stripping) at their earliest possible time. The actual strength values optained in Step 2 can be used to determine the earliest possible time of formwork removal. Concremote not only helps you to save time, but also increases safety with having high level certainty in decision making, enhances concrete quality and reduces costs. Think construction processes forward to boost your productivity. In the ‘Dokadek 30 with drop-head’ method, too, the formwork is set up safely and easily, working from floor-level. The closure panels are then inserted from above, but because these are so narrow (only 15 cm wide) there is no need for any additional fall-hazard precautions. Hammer on the red lowering wedge to quickly detach the panels from the concrete. Tilt down and remove the panels; take out the closure panels. In this way, all the stripped Dokadek panels are available ahead of time, ready to be used in the next casting section. The floor-slab stays safely shored with the Doka Eurex floor props until the required concrete strength has been reached. The forming method chosen will depend on e.g. Every construction task needs individualised solutions. The Doka Formwork Experts will be pleased to advise you. 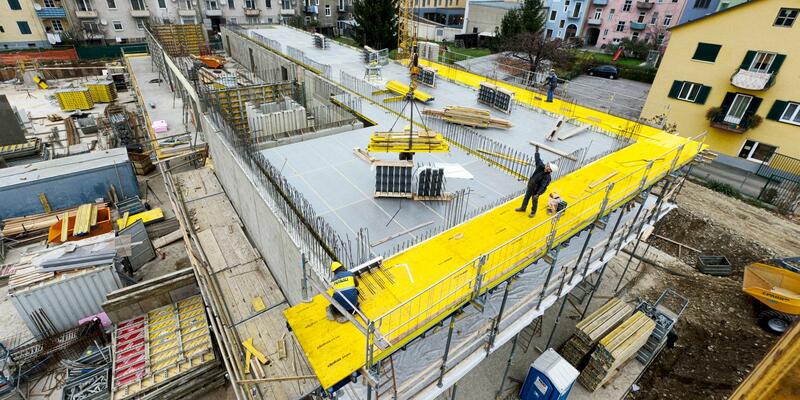 Doka floor-slab systems are versatile and can be adapted to handle widely differing construction tasks. No matter whether the areas of slab to be formed are large or small, straightforward or complex: with Doka, you’ll always be working right, and working safe. Dokadek 30 is compatible with all other Doka floor-slab systems. As necessitated by the requirements, the most suitable floor system can be used in each case – or a combination of different systems. The new equipment line-up for high speed on large areas and fast adaptation in infill zones. The professional solution for combining efficiency on large areas and around edges. The proven combination for high forming rates and maximum flexibility. Would you like to have further information on Dokadek 30?